Pickerington’s BEST! Magazine is a High Quality, Full Color advertising magazine on High-Gloss 80# paper, DIRECT-MAILED to 12,700 homes & businesses in the 43147 zip code. Our fair pricing starts at LESS THAN TWO cents per home! See Price Sheet below. You have lots of choices for your advertising dollars. You might as well go with the BEST! Like Pickerington’s BEST! on Facebook! 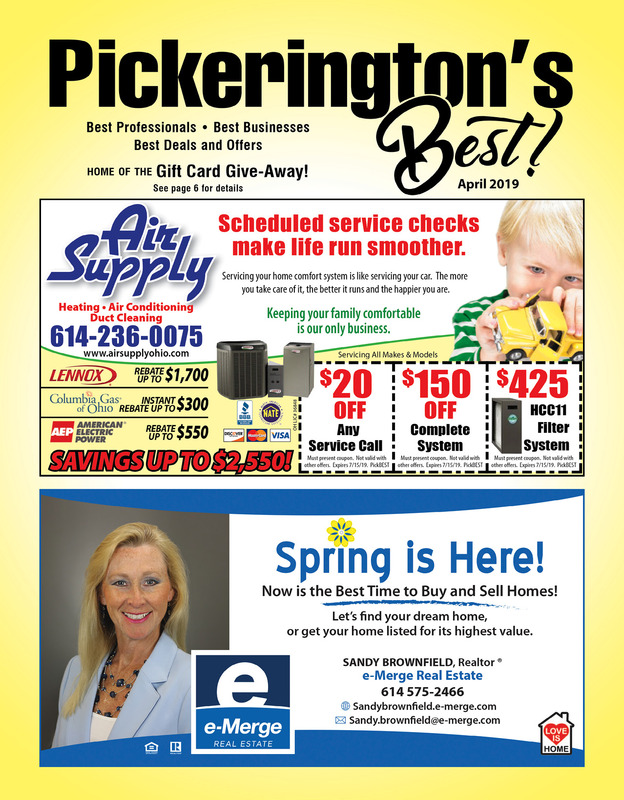 Call Today to Advertise in Pickerington’s BEST! Home of the Gift Card Giveaway! As a BONUS to our Advertisers, we will run a contest in each issue in which THREE LUCKY residents will win a $35 gift card (purchased by us) from an advertiser of their choice!